It was encouraging to find out that the Department of Wildlife Conservation has made a decision to do away with translocating of elephants. Yet, there seems to be no definite plans as to how the current populations of elephants in Sri Lanka will be managed over the long term. According to reports it seems the only solution that is still advocated by the Department of Wildlife to address the intensifying human-elephant conflict island wide is to erect hundreds of kilometers of electric fencing. With the country on a development drive it becomes vitally important that we address issues such as human-elephant conflict and elephant conservation with a long term focus, goals and objectives in mind. Palliative efforts, such as erecting electric fences are not a long term solution especially if they are used to fence elephants in areas. While electric fences can be effective there are limitations to their application and they are also hampered with issues in regard to their maintenance, operations and effectiveness. If an electric fence is not properly maintained it quickly becomes un-operational. Most importantly, if an electric fence is not properly planned and erected it could unnecessarily obstruct elephants from accessing vital resources. This is especially so when the aim is to fence elephants in a specific area. If that is the aim then it is vitally important to find out whether that area has the carrying capacity to maintain whatever the number of elephants that are being fenced in that area. This means to develop effective long term strategies and measures to resolve human-elephant conflict and for the successful management of elephant scientific research is vital. A point to keep in mind is that over time elephant population will increase. Therefore it bodes well for the relevant authorities to pay a lot of attention now itself as to how the increasing number of elephants will be managed. This will be a huge challenge and very difficult management decisions will have to be made and adapted to address this issue. Today human-elephant conflict has transcended from just being a wildlife management problem to one of the worst environmental and rural social economic crises in the Dry Zone of Sri Lanka. The reason for this problem is attributed to the fact that 70% of our wild elephant population live outside the Wildlife Protected Area network and share land with rural people. But there other contributing factors as well. A primary issue is that, there is no proper land use and land management policy being implemented. Un-regularised land tenure has fragmented vast tracts of forests making it a nightmare to address environmental and socio-economic issues and concerns such as human-elephant conflict, poverty alleviation and rural youth unemployment. The Northwestern Province is a prime example where elephants and people live in a homogenous habitat. The elephants in the Northwestern Province basically live in fragmented forests amidst a sea of humanity. Unfortunately, today many other areas are also quickly moving towards a similar situation―especially in the north and east of the island where accelerated development drives are in place. Another factor is land use where farmers are practicing agriculture that is incompatible with sharing land with elephants. The challenge is, even though human-elephant conflict is as a result of unregulated agriculture — the solution to mitigate it to a certain extent has to be based on alternative agriculture practices. Providing farmers with alternative agricultural practices should be part of the efforts to mitigate human-elephant conflict. In addition to ensure the success of such an effort it is also important to create policies for the public sector to engage with the private sector. Considering the magnitude and scale of the problem it is highly doubtful that one or two public entities could resolve human-elephant conflict. To achieve this level of coordination a solution could be to appoint an independent Competent Authority. The Competent Authority’s primary responsibility will be to ensure that all discussions pertaining to elephant conservation issues have had the participation of the experts that have been identified from the government and private sectors. The Competent Authority will bring together all the stakeholders from the private and public sector including representatives from government departments such as, Agrarian Services, Agriculture, Social Services, etc. for planning and implementation of elephant conservation measures. 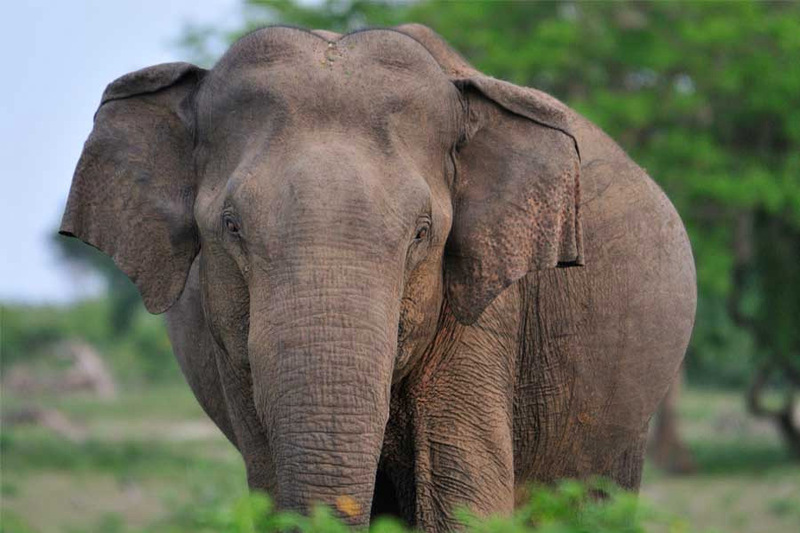 This will ensure that the strategies and plans that are designed by the forum are implemented so that there will be maximum benefits to the affected communities whilst ensuring the long term conservation of the endangered Sri Lankan elephant. Translating the 2006 Cabinet approved National Policy for Elephant Conservation and Management to a comprehensive action plan for elephant conservation with a time line for implementation is also vital to ensure the success of these efforts. Human elephant conflicts can be resolved successfully by developing a series of mitigatory, adaptive and pre-emptive strategies and approaches.